We develop and publish mobile apps for recreational and commercial boaters worldwide. Details of our growing range of apps can be found on this website. Our nautical apps are designed for quick reference, whether for study ashore or practical use afloat. They are all suitable for iOS and Android devices. The apps provide clear, concise and accurate information, expertly researched and backed up with specially created graphics. Many of the apps feature test yourself quizzes. There are direct links to the app stores from this website for easy downloading to your device. The links can be found on the pages that describe each app. Go to the Apps menu, choose the app that interests you, open the page and then click on the app store links relevant to your device. From time to time we update our apps, taking user comments into consideration. This process is ongoing. All our updates are free. We always welcome customer feedback. Please contact us via this website with your comments or suggestions. Several of our titles have come about following suggestions from our users. We hope you find our apps useful revision aids and practical tools that will help you improve your boating skills and enjoy your time afloat. Thank you for your support and stay safe on the water!  Safe-Skipper.com develop Apps for a broad range of mobile devices, selling through iTunes for the iPhone and iPad, Google Play for Android 'phones & tablets and on Amazon for the Kindle Fire range.